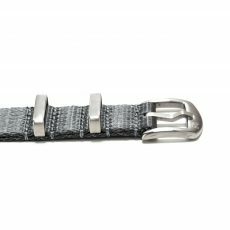 For watch collectors that seem to have a lot of repeat styles in their collections and want to aim for something new, the Atto Verticale collection of Origin watches is for you. 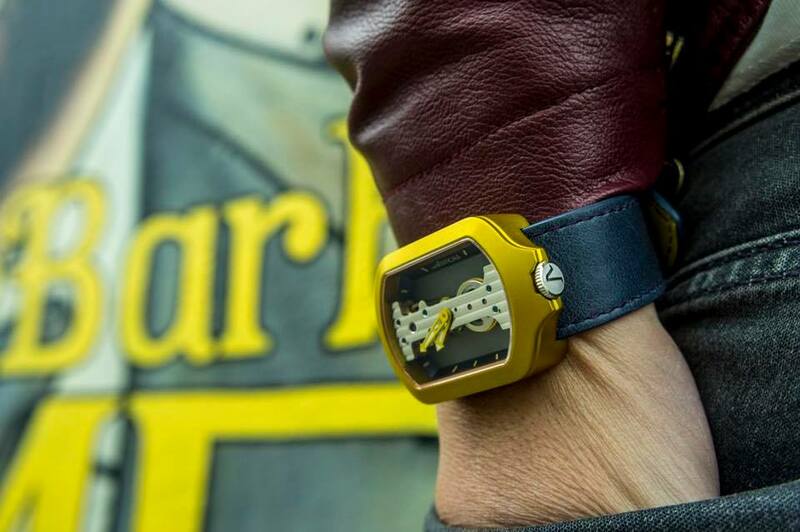 These watches feature a one-of-a-kind style that immediately catches the eye with their unique dial cutouts on the side, leaving in the middle only a long, capital I-shaped strip from which the hands extend and rotate along the open edges. 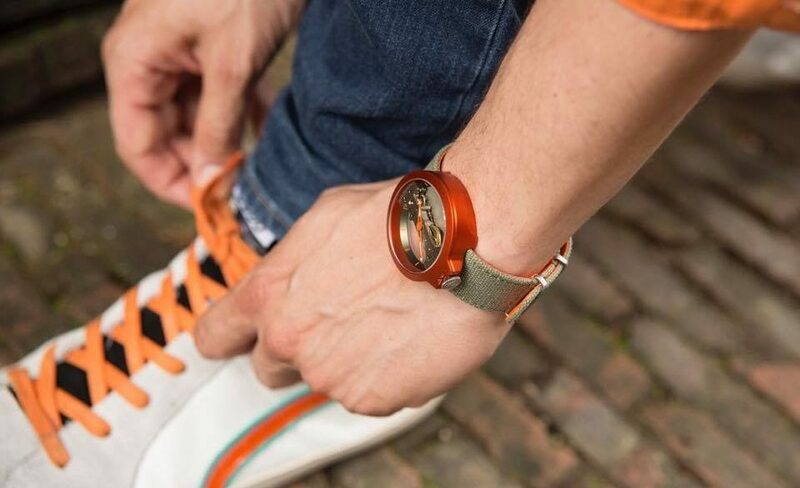 In this Atto Verticale Origin collection, you’ll find a variety of colorful cases that will breathe new life into any ensemble you wear them with, including hues such as orange, red, blue, silver, black and gold. 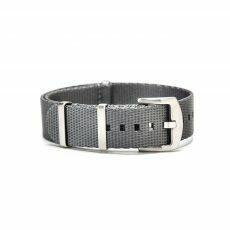 The watches feature strong aluminum cases that measure 42 millimeters in diameter, leaving plenty of room for you to easily check the time at a glance. Keeping the time is a hand-wound movement that adds to the Steam Punk feel of the watch each time you wind it. 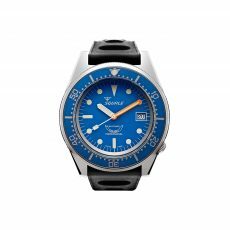 On top of the dial is a sapphire crystal class that protects the timepiece from damage, and the tight case gives the watch a water resistance rating of 3 ATM to stave off water damage. 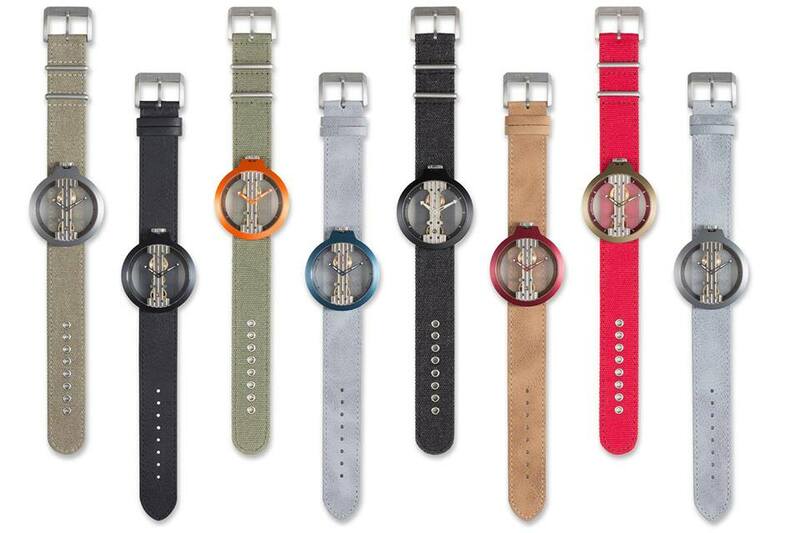 Choose from a leather or canvas watch strap to finish out the look. 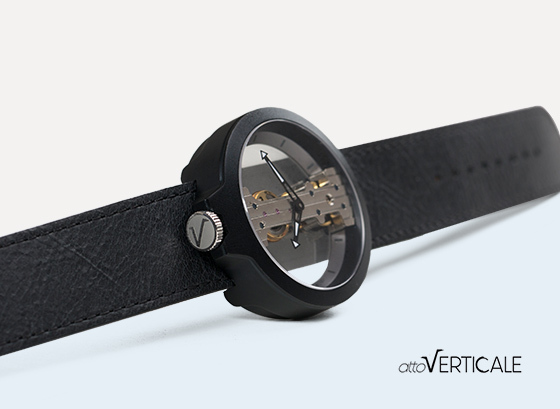 WatchBandit is proud to be an authorized dealer of Atto Verticale watches and you can find them here on our website. 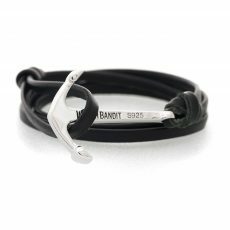 The watches run at 294 euro straight across, and with the free shipping to anywhere in the world, they are made more affordable to anyone wanting an exciting, new style of timepiece.